Once you've taken the cover off the grill for the season and you've cooked on it a couple of times, made your usual steaks, burgers, or chicken, you might start wondering what other foods you can cook on it. Here are 14 foods you might not have known you can cook on the grill. Grilling pizza is not as much a stretch as you might think. Pizza needs a hot, dry fire, and that's exactly what you get on a grill. The trick is you need to grill the crust first, then add the toppings, then return it to the grill to finish cooking. Be sure to oil the grate so the dough doesn't stick. Cooking mussels on the grill just might be the easiest way to cook anything at all in the whole world. You literally just heat up the grill, then set fresh mussels on the grill and cook them. When they open, they're done. The whole thing takes 5 to 10 minutes. Garnish with parsley, black pepper, and melted butter. Oysters may not be as easy to cook on the grill as mussels, but the light, smoky flavor they obtain from a scant five minutes on the grill is more than enough to make it worth the trouble. You're going to need tongs or some heavy grilling mitts to remove them from the grill. Yes, it makes total sense. If you can grill hamburgers, then you can absolutely grill meatballs! The main difference is you're going to skewer them and cook them as kabobs. This means you can arrange the meatballs with alternating chunks of onions and bell peppers. Ten minutes and they're done! This high-protein delicacy absorbs an abundance of smoky, grilly goodness from your grill. Just be be sure to oil the grate first, because it will stick otherwise. Use firm or extra-firm tofu, and for extra flavor, marinate it for at least 30 minutes beforehand. Use skewers, and brush with extra marinade while cooking. Done in 10 minutes. Some assembly required. Specifically, if you want chicken on your quesadilla, you'll have to grill it separately beforehand. Same for the eggplant and onions. Basically you're simply building your quesadilla like a sandwich, with two tortillas surrounding the grilled fillings, along with, of course, the cheese. You'll cook these over a low grill. This is another case of, it's so easy it almost feels like cheating. But don't worry, unlike with grilled mussels, cooking peppers on the grill does involve brushing them with olive oil first. Yep, that's it. 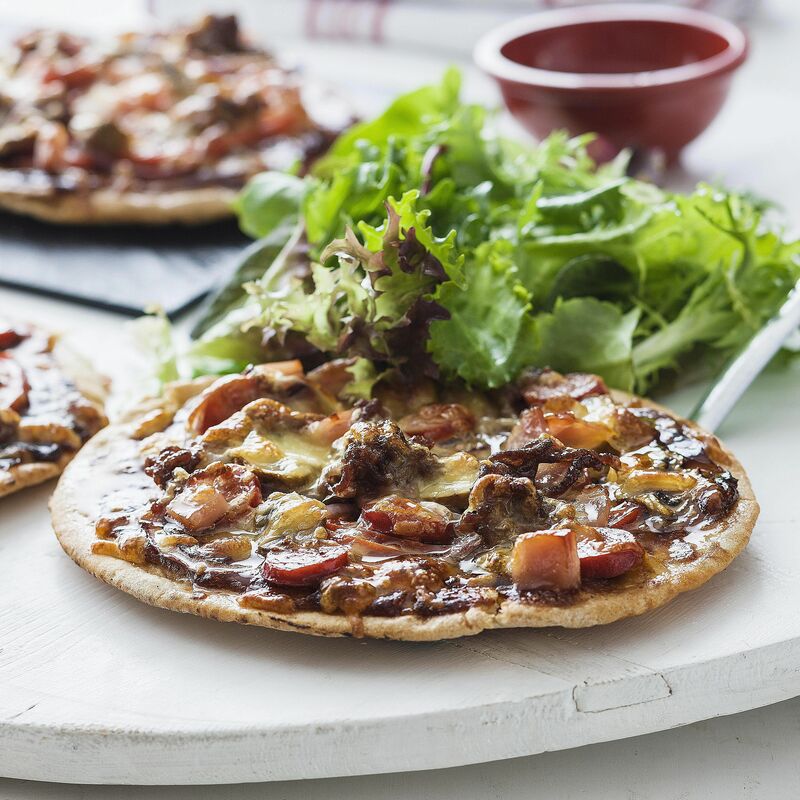 Serve with grilled eggplant, zucchini, and tomatoes, or chop up and add to other dishes, like the aforementioned grilled pizza. Works with green, red, orange, and yellow peppers. Here's one you definitely need to try. Apart from a quick blanch beforehand, grilling sweet potatoes goes just about the way you'd expect: slice them thinly into disks or spears, then toss with salt and vegetable oil, and grill for 10 to 15 minutes. Finally, brush with brown sugar and cinnamon. Heavenly. Is there a better way to cook zucchini and other summer squash than on the grill? Slice in half lengthwise and toss in olive oil and Kosher salt. Then arrange the halves on a medium-high grill and cook for five minutes on each side, until those lovely grill marks appear. Drizzle with balsamic vinegar and grate a bit of Parmesan for good measure. It often seems a shame to let a perfectly good fire die out on your grill once you've finished cooking dinner. The solution? Cook dessert on the grill as well! Start with a whole pineapple, peeled and cored, slice 1-inch thick and grill for 10 minutes. 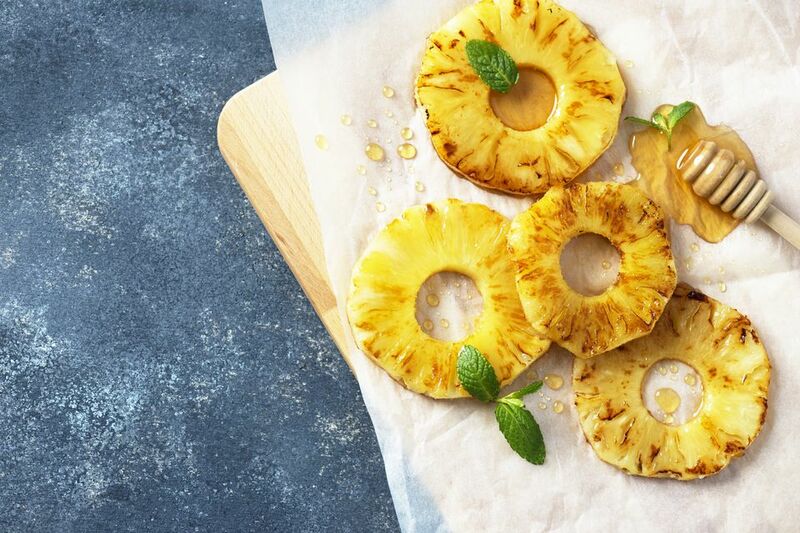 A basting mixture of tequila, brown sugar, vanilla, and cinnamon will make this grilled pineapple delectable and memorable. While we're on the subject of grilling fruit, grilled watermelon is as delicious and refreshing as you might imagine it would be, and depending on what kind of glaze or sauce you combine it with, it works equally well as part of a savory dish or as a dessert. Grill for three minutes per side. This one's another no-brainer. Grilling carrots brings out their sweetness like no other cooking method. Just peel whole carrots and cook for 8 to 10 minutes over a medium grill. Toward the end of cooking, you'll brush them with a glaze made of orange juice, brown sugar, and butter. Yum! If you thought this meant grilling a whole head of lettuce, you're only half right. You're going to halve it first. Specifically, romaine lettuce, which is rugged enough to withstand the heat while turning a lovely crispy, slightly wilted texture. After brushing with olive oil and seasoning with Kosher salt, grill the halves for 2 to 3 minutes per side on a high grill. Serve as-is or in a salad. A good-sized portobello mushroom cap is actually a decent stand-in for a hamburger patty, and it takes only 5 to 7 minutes per side over a medium grill to cook it. But you don't have to serve it as a burger. They make lovely side dishes or appetizers as well.